This post is a part of the Get Paid to Write for Blogs Course Launch. Get Paid to Write for Blogs is a brand new course created by Cat Alford of Budget Blonde. Cat makes a full time income from writing for blogs, and this course will teach you how to do the same. Many moms feel like they have no choice in whether or not they work. Some moms want to stay home, but have to work full-time to cover their family’s bills. Other moms want to work, but have to stay home because their paycheck won’t cover the cost of childcare. Either way, moms everywhere are subject to the stress and guilt of feeling like they aren’t home enough for their kids or that they aren’t contributing enough to the family income. If you’re a mom who feels this way, a side hustle could be the answer to your career vs. family conundrum. A side hustle is any extra job that you can pick up to bring in supplemental income. Typically part-time, side hustles are usually done after business hours and on the weekends. They are a great way for moms to either bring in some extra money so that they can work less, or help bridge the gap to afford childcare while they start a career. While side hustles are a great tool for moms to find balance between career and family, not all side hustles are available to busy moms. Moms usually can’t get a second or third job, bring in extra money landscaping, or house and pet sit on the weekends. Family life is wonderful, but it definitely limits the options that moms can choose from. However, there is a side hustle that busy moms can use to bring in some extra money, build a resume, or even start a business – freelance blogging. Here are 6 reasons why you should learn how to get paid writing for blogs so that you can reach your family and career goals. Even moms who are happy with their job or are thrilled with staying at home think it would be nice to have a little bit of extra money to save for vacations, pay down debts, put aside money for college, or build a nest egg for retirement. Side hustling as a paid freelancer will help you achieve whatever financial goals you set for yourself and your family. Amidst the all-consuming work of diapers, bottles, and schoolwork, moms forget to carve out time for themselves. Blogging will make you set aside time for yourself and your writing. It will also serve as an outlet for all of your unused creative energy. 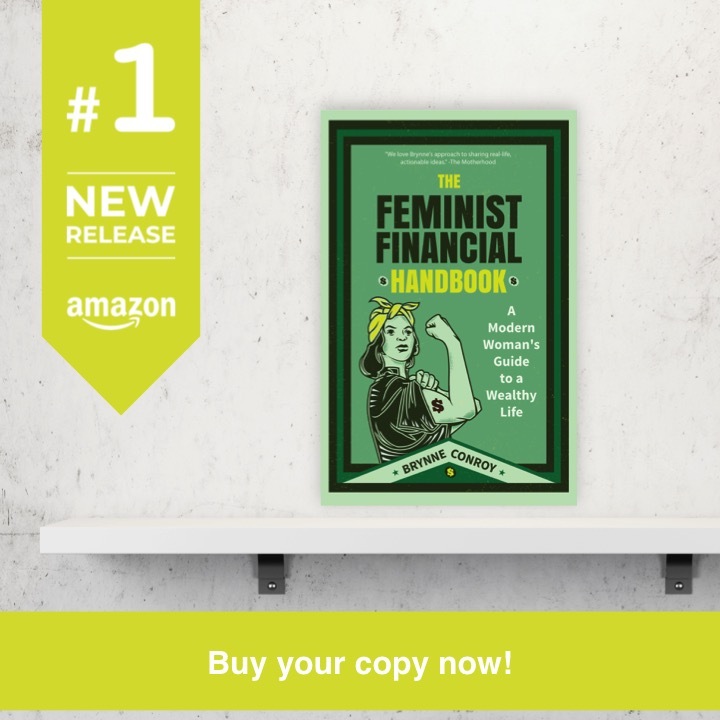 Not only can you bring in money while writing about your passions, but you will also make some great friendships with like-minded businesswomen. Side hustling as a paid blogger does not have to be a 9-5 job. Research while the baby naps, write while your eldest is in soccer practice, or get it all done at night after the kids are asleep. Since you set your writing hours, you can work as much or as little as you choose. Freelance blogging has no schedule except the one that you set for yourself. Depending on what your writing goals are, you could write just two or three articles per month, twenty times per week, or you can continue taking on clients and writing jobs until your schedule is full. You only have to take on as much as you can handle. Most clients are more than willing to work with you and your schedule needs. If you know that you will be out of town when an article is due, most clients don’t mind if you submit your work early. You can submit your articles all at once or spaced out weekly or biweekly. You can decide which submission schedule works best for you. Life is unpredictable at the best of times. It’s even more so when you have kids. Fortunately, the freelance blogging community is filled with parents who understand that sickness, ER visits, and broken bones are par for the course when you have kids running around. Your online community will be there to get you through family emergencies by covering your deadlines. Then, when you’re able, you’ll be there to help someone else out as well. Making the decision to side hustle as a freelance blogger could be the decision that changes your life. Busy moms need flexibility, understanding, and camaraderie. The freelance blogging community gives all of that and more. Don’t feel stuck in a job you hate, stagnant at home, or struggling to live paycheck to paycheck. Side hustling as a paid blogger can help you achieve both your family goals and your financial goals, and taking a course can help accelerate your path to success. This entry was posted in Ways to Make Money on July 9, 2015 by femmefrugality. mommy bloggers are killing it right now. I know of many who not only earn income, but lots of free product to review. Yeah I definitely know some mom bloggers that are rocking it! I also love that you can be a mom and still get into any niche that interests you… Related to the craziness of raising kids or no. So it can either be an outlet or an escape. And you can get paid either way! Amen, Alexandra! It’s helped me save for slow off season employment gaps, and drastically improved our savings for our home! I’d say it’s the ultimate side-hustle period : ) For moms, dads, people without kids … If you love to write, it’s worth checking into. For sure. The schedule flexibility is good for everyone, which makes it perfect for those who can’t get out during traditional work hours. (Or those who can work after bed time, but can’t necessarily leave the house like me!) Or just anybody period the end who wants more flexibility. I agree! For years I felt like no one I knew in the arts wrote as their side hustle, but on my current show there are half a dozen of us and a Virtual Assistant. It’s pretty awesome. That is pretty awesome! I’ve been finding out more people I know do it than I thought, too. One mom I recently found out did it full time. I was always wondering how she stayed home with her kids full time as a single mom, and lo and behold, we had our hustle in common! All great points. 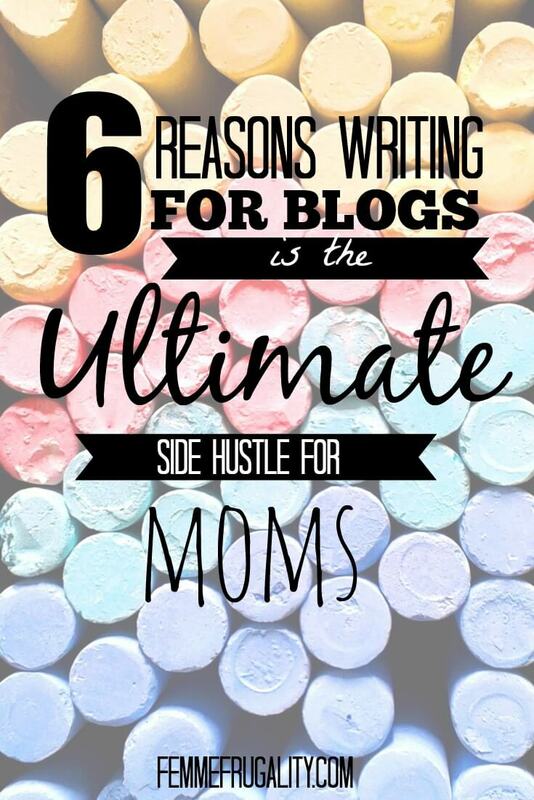 Writing definitely has to be the ultimate side hustle for moms. Anything where you can work around your family’s schedule is gold. Yeah if you aren’t into writing it’s probably not a great fit. 🙂 For everyone else it is a great option. And Cat helps everyone, regardless of maternal status! I am one of Cat’s student’s; I did individual coaching with her, but I have reviewed this video course and it’s really awesome. And I totally agree with Kristi’s points above – this is the ultimate work from home job. I really don’t know of any other opportunity with this kind of earning potential that is so scalable based on your own needs! Thank you for vouching, Kirsten! It really is such a great option, and Cat is such a great person to have backing you up. When I first started blogging and freelance writing for money, I had a hard time convincing even my own husband that I would get paid. But there are a lot of opportunites and I definitely agree that this is the perfect job for busy mothers. It’s flexible and you can take on more work when you get time. And yes – Cat is a fantastic blogger who really knows her stuff! Same. He was a little skeptical at first, but after the money started coming in he got very excited about it. 🙂 Odes to Cat! While I can’t imagine just how busy mothers are, it definitely is a great side hustle for anyone. Crazy busy. And then when you’re not busy you get busy stressing about how busy you still be tomorrow. Haha. We’re not alone in that, though, so it really can be great for everyone! As a mom and a blogger I think this is a great opportunity to branch out and earn a little extra money to add to the families bottom line. For sure! And I know so many who have turned it into a full time thing, too. Love how individualized the schedule can be.